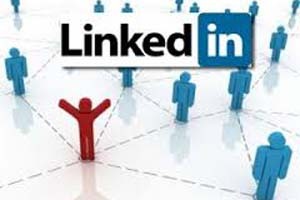 Selecting a LinkedIn profile rewriting service among the many who offer similar services may indeed be a daunting task. When you do a Google search with a common term such as “Best LinkedIn Profile Writing Services” or “LinkedIn profile rewriting services”, there would be at least 10,000 search results with information about providers who offer this service. The point is, as a jobseeker or a senior executive, this is enough to drive you crazy and wonder who is the best! However, if you consider the following criteria while selecting, things would definitely get easy. Author Profile & Team: It is very important to gauge the level of writing you are seeking and for that, it is a must to understand who is leading the team. Ask these questions: Is the Author being too flashy? Are the claims being made too unreal? Do they have enough experience and expertise to rewrite a profile? Most important, do they have experience as Human Resource professionals? Check on these for sure. It is true that there are many marketing and sales professionals calling themselves Resume writers and LinkedIn profile rewriting experts, so please make sure you don’t get caught up with someone who does not understand LinkedIn well. Pricing: This is obviously a very crucial factor for hiring providers offering LinkedIn profile rewriting services . As a jobseeker or an entrepreneur, your budget may be very limited but yet, to get quality services, you may have to shell out a minimum of 100$ to 200$. Look out for people who offer this service for as less as 5$ and even 500$. Is it worth the money? Does their quality match the money they are charging? Consider these points and choose your LinkedIn profile rewriter carefully. Value Additions: There are many who provide LinkedIn profile rewriting services and claim too big and deliver what even an average content writer could. So obviously, investing on such a service provider may not be fruitful. So always check out what are the value additions they provide. Do they include SEO in their services? Do they provide A+ customer support? Do they provide additional training to you so that you understand how they have modified your profile? Last but not the least, do they display flexibility on pricing and deadlines or are too rigid and demanding on what they think is right! Strictly, there are no hard and fast rules for LinkedIn Profile rewriting services anywhere across the world. Any capable Resume writer can do a great job and deliver your profile rewrite. Yet, you must be careful in striking a balance between quantity and quality in hiring a LinkedIn profile writer.